Onsite CPR Training Center provides Onsite CPR First Aid Training in San Antonio Texas with the American Heart Association and Medic First Aid Programs. 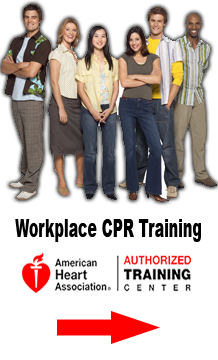 At Onsite CPR Training Center we make your training and re-certification fun and easy. We will travel to your location on a day that is convenient to your schedule 24×7. Why choose Onsite CPR Training Center for Onsite CPR in San Antonio Texas?